There are, of course, many reasons and benefits to travel. If you are not traveling for business, and if you are going to a place that is unfamiliar, particularly if it is culturally unfamiliar, one of the great benefits is that you tend to be completely “there”, completely in the moment. This heightened awareness makes you feel more alive. All your senses are engaged, in part because it is all so new, and in part because you are trying to figure things out. In this our fourteenth year of leading trips to Orvieto, we continue to marry art instruction with the cultural exploration most people travel to Italy for. The art and the culture reinforce each other and heighten the experience of each. 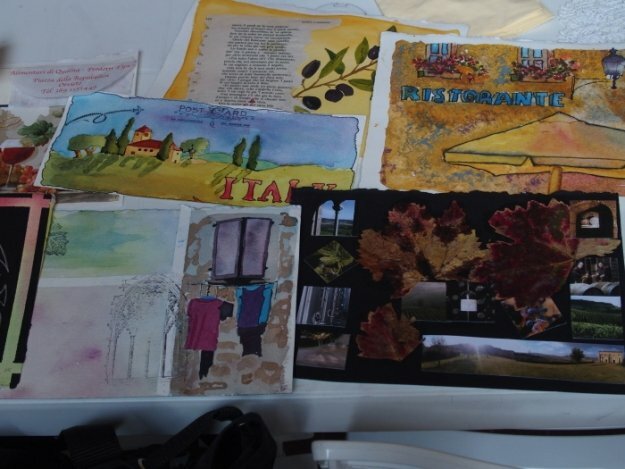 Filtering and interpreting Italy through one’s art makes it richer and more memorable. It makes you even more aware and attuned to the food, the colors, the textures, the smells, sounds and sensations. It is a deeper experience because you are doing so much more than simply seeing the sights. You are very much in the moment, something that is increasingly rare and difficult to achieve in today’s connected world. Knowing this, it was clear how completely natural it would be for us to extend the art-trip concept to a yoga-Italy retreat. Yoga is so much about being in the moment, intensely focused on what you are doing while doing it – just as you are completely focused on Italy as you navigate all it has to offer. Doing yoga in place of art, while keeping the exploration of Italy’s food, wine, lifestyle, and culture, is our latest offering. There are many, many yoga retreats overseas. While most have a small element of the local culture, they are largely yoga-centric. Our week is very consciously going to be more balanced: Yoga and Italy. As with our art trips, the yoga and Italy will complement each other since both are “in-the-moment” activities. We are blending ample time in the yoga studio with all the rich cultural enjoyment Italy and Orvieto have to offer. We are fortunate to have an experienced and unbelievably talented yoga instructor at the 500 hour teacher level. Annaliese has an active yoga teaching practice, is keenly adept at creating a supportive, uplifting environment, has extensive knowledge of anatomy, creates a soulful experience, and is just plain fun! The trip will be enjoyed by those new to yoga as well as the experienced yogi wanting to enjoy Italy and yoga all at once. Be in the moment for a week with yoga and Italy – October 9 – 15, 2016 in Orvieto – the green heart of Italy. 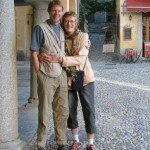 Kristi and Bill Steiner began leading “learning vacations” to Orvieto, Italy in 2003. Through Adventures in Italy they provide a cultural immersion experience. Many trips include the pursuit of some kind of creative work that complements and reinforces exploration of Italy’s culture. Relationships built over the years enable Kristi and Bill to provide experiences that a typical visitor to Orvieto never gets. Trips are held in May and September/October every year. Their Discover Orvieto and Taste of Orvieto trips are available to groups any time of the year. Learn more about Kristi and Bill’s trips. Stay abreast of Adventures in Italy developments, and follow Bill’s musings about travel and Italy on his blog Make Haste Slowly. View Bill's photos of Italy, Orvieto, and other memorable places at steinerstudiophotos.com, and follow him on Instagram.